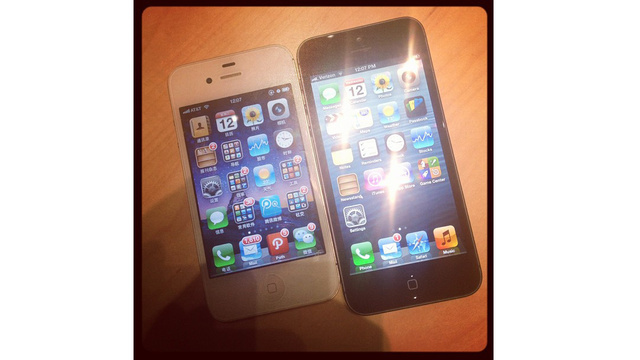 Okay so I got a picture comparing the iPhone 4s and the iPhone 5. You can see the BIG difference. ITS HUGE!!! Today was an amazing day because at 1pm est. Apple unrelieved the iPhone 5. The iPhone 5 rocks a taller, 4-inch 1136 x 640 resolution Retina display, supports 4G LTE networks, the new, faster dual-core A6 processor with more graphics power, and a faster, smaller camera that features better low-light performance. The new phone will also ship with an upgraded Siri virtual assistant, a new 9-pin Thunderbolt-lite connector port called “Lightning,” and more. 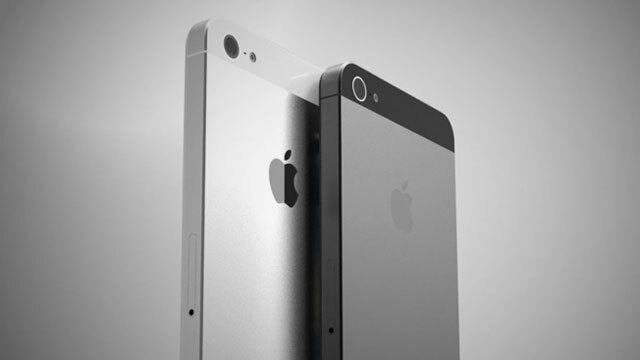 The iPhone 5 will also come pre-loaded with iOS 6, and all of the new features coming to it. The new thing about this phone is that it is available on tons of networks such as Verizon Wireless, AT&T, and Sprint in the United States (T-Mobile supports unlocked iPhones) and Bell, Rogers, Telus, Fido, Virgin Mobile, and Koodo in Canada. Pre-orders this Friday, for delivery on September 21st. Posted on 09/13/2012 02/21/2013 Author Mr.BryantCategories appleTags 4-inch, 4g, apple, beautiful, bigger, display, dual-core, faster, gadgets, gaming, gizmodo, graphics, iphone 5, lte, mac, mobile, resolution retina, retina display, technology, unveiling, verizon wireless, virgin mobileLeave a comment on iPhone 5 is HERE!